Is your fiberglass shower or bathtub old and dingy looking? Here is how to easily make a tub and shower look new again! Your fiberglass bathtub or shower will scratch over time. The small crevices will allow dirt and grime to build up over time. Using the tub daily makes it hard to clean the soap scum and dirt as it gets embedded which causes black stains and water spots. 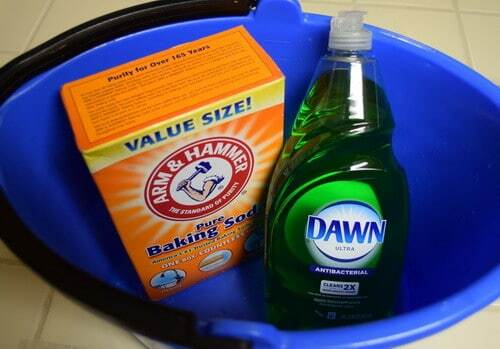 Here is a fairly easy way to completely scrub and buff your fiberglass tub or shower and make it look brand new. Shower/Tub Cleaning Mixture: Use a quart of hot water and mix a large amount of baking soda and a half cup of the dish soap. Once the items are mixed, it will start to form a paste. Add enough baking soda until the mixture is able to stick to the shower or tub walls. 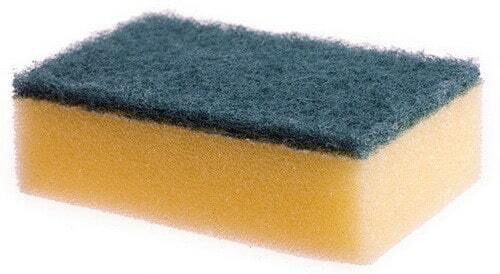 How To Apply The Mixture: Use a sponge and apply a large amount of paste to the walls and floor of the shower or tub. (BE CAREFUL AS THE TUB FLOOR SURFACE WILL BE SLIPPERY) Let the mixture sit for 30 minutes and then scrub vigorously. After scrubbing you can rinse the fiberglass with cold water and use a towel to remove any water on the walls or floor. At that point you can use a Magic Eraser to wipe everything down once again. How To Make Your Shower/Tub Sparkle Like New: Use a marine grade rubbing wax compound that’s made for fiberglass. You will also need an orbital buffer and a good quality auto wax. Apply a small amount of the marine grade rubbing compound and work in small sections. Do not stay in one area too long as it will burn the fiberglass. Then buff the rubbing compound with a terry cloth rag. Repeat the complete process with the auto wax. After you apply the auto wax, use a terry cloth and buff to a shine. Then rinse with cold water to harden it. Once your tub or shower is completely buffed and clean it is best to buy a bath mat to avoid slipping as the shower/tub will be slippery. Your tub/shower should now look as good as new! 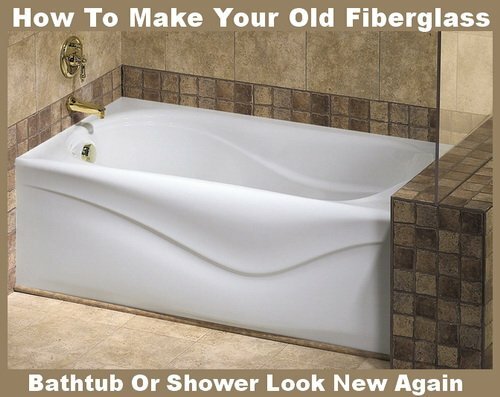 Do you have a better more effective way to make a fiberglass shower or tub look like new again? Please leave a comment below. I have a shower/bathtub combo. I bought the house last year. I do not know if the material is faberglass or acrylic. I googled on the subject but I still can’t tell. Do you think your method will work on acrylic too? Do you use Marine grade polish or rubbing compound? Depending on the type of tub you have, it will vary. Fiberglass versus Porcelain will need different rubbing polishing compounds. Marine grade polish is a good choice with a buffer and the tub will look like new.